Kunal started his career in bollywood as an assistant director to Rakesh Mehra in "Aks". However the call to be in front of a camera hac more of an effect on Kunal and he made his debut with Meenaxi: The tale of three cities" , which not only won him critical acclaim but also helped him establish his own footing and pace in the industry. Making a most unconventional debut with Meenaxi: A tale of 3 cities, the critically acclaimed actor took things at his own pace thereafter. Since over a year now, Kunal has also been associated with Naseeruddin Shah?s theatre group. In 2006, Kapoor became an overnight sensation with the hit film Rang De Basanti. 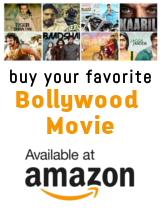 It was critically and commercially successful; it was India?s official entry to the Oscars and was nominated in the Best Foreign Film category at the 2007 BAFTA Awards. His performance was acclaimed and he received a Filmfare Best Supporting Actor Award nomination. In 2007, he starred in Hattrick which failed to do well at the box office. His next two films, Laaga Chunari Mein Daag and Aaja Nachle, also failed to make an impact at the box office. He has endorsed popular brands like Thums up, Indian terrain, Ray Ban and Mahindra Logan. Along with actress Gwyneth Paltrow, he is the face of the Save the Children charity. He is known to be very selective about the work he does and had a release in National Award-winning director Rahul Dholakia?s Lamhaa after two years, for which he received critical acclaim. Kunal Kapoor voiced the Indian god Rama in Mahayoddha Rama, directed by Raizada Rohit Jaising Vaid. The film is an animated mythological movie based on the Ramayana.